.39 acre lot in serene Slesse Park. 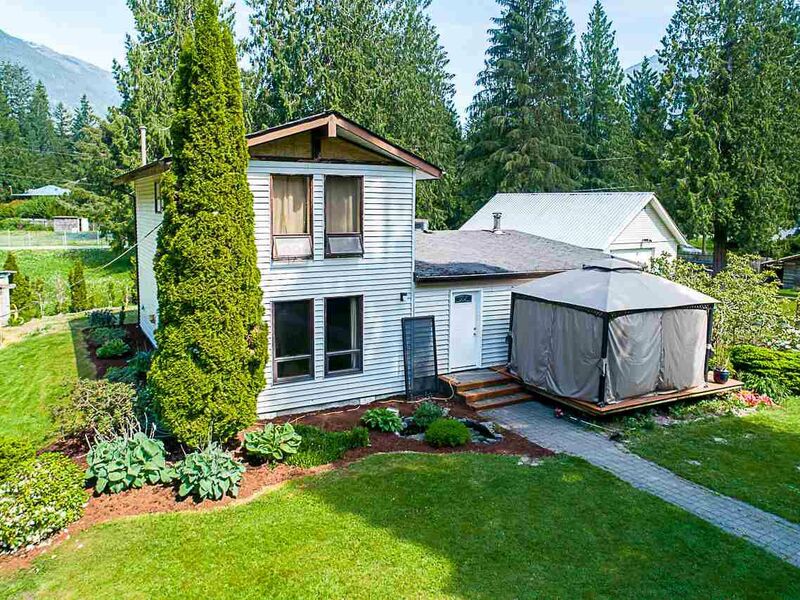 This home is an original cabin with vaulted ceilings and a 2 storey addition put on in 1988. Some hardwood flooring inside and a large outdoor deck to enjoy the fresh air. Large glass greenhouse in the back, perfect for the avid gardener. Rafting, mountain biking and world class fishing are only minutes away! A wonderful community, private layout and excellent neighbors. A beautiful retreat to retire or raise a family.